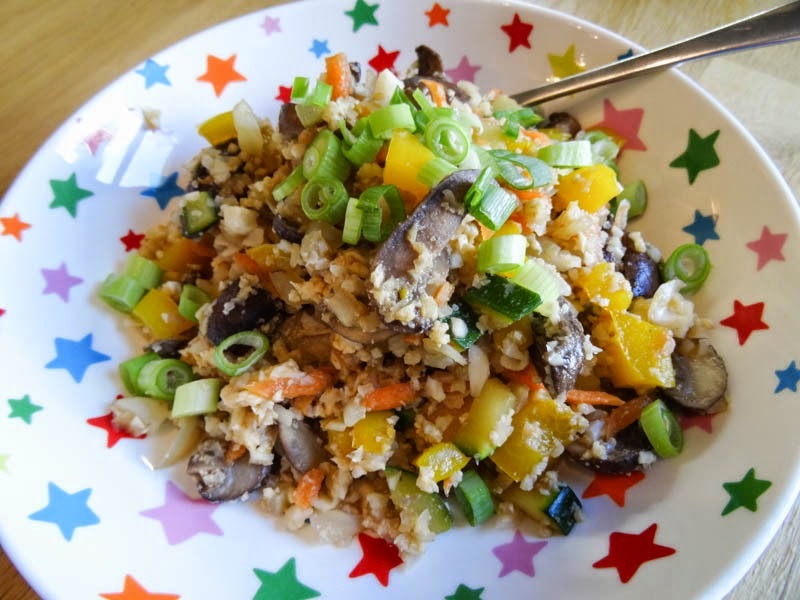 I was a bit of a sceptic when I first heard about cauliflower rice, I just couldn't believe that it would be a substitute for rice, no matter how low in calories it was! I enjoyed it as Morroccan Spiced Cauliflower Cous Cous Tabbouleh from a recipe from Karen at Lavender and Lovage a but it wasn't until I tried this Cauliflower "Fried Rice" recipe from Domesticate Me that I was really wowed by cauliflower rice. I was helped along by my new best friend, the OXO Good Grips 28cm Non-Stick Frypan, it's got a Magneto Induction Base which is really thick and heavy, a really substantial pan. It has 3 layer PFOA-Free non-stick, it's dishwasher safe and the silicone-metal construction allows it to go directly from hot to oven, it's oven safe to 200C! I've used this frying pan nearly every night since I got it. 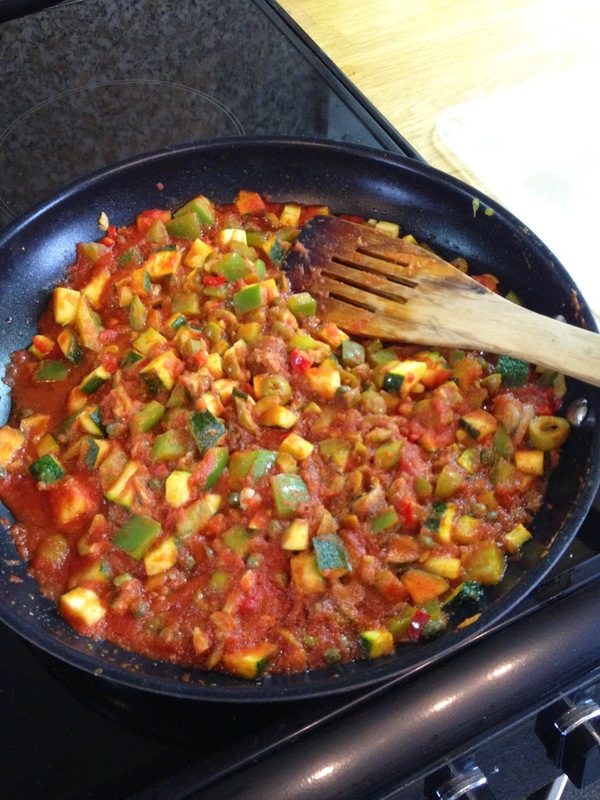 It's the perfect size for stir-frying, you can get lots of bulky veg into it without it spilling out over the sides. In the past I've found that larger pans heat unevenly as the base is larger than the heating element, but not this one, it distributes the heat evenly so the food at the edges gets cooked too. Prices start from £29.99 with the pans available in four different sizes (20cm, 24cm, 28cm and 30cm). Available from Lakeland now. 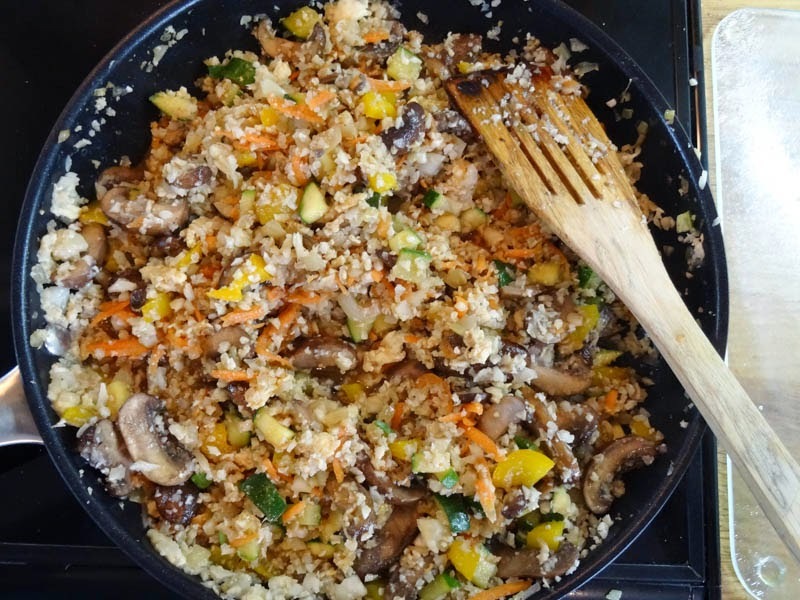 Your cauliflower rice looks delicious and very tasty. 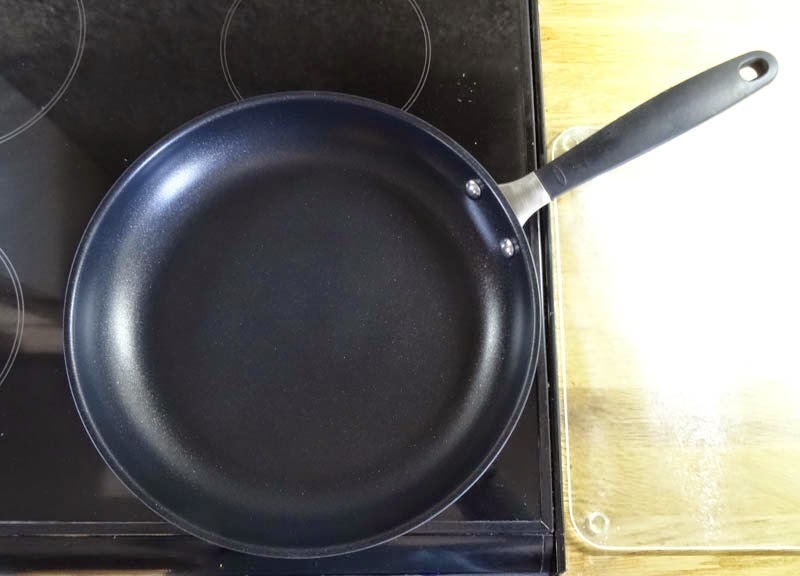 The pan is a nice one too, it looks very sturdy. I agree with Nayna that does look delicious!. Loving the star bowl too! Off to look at the recipe now. 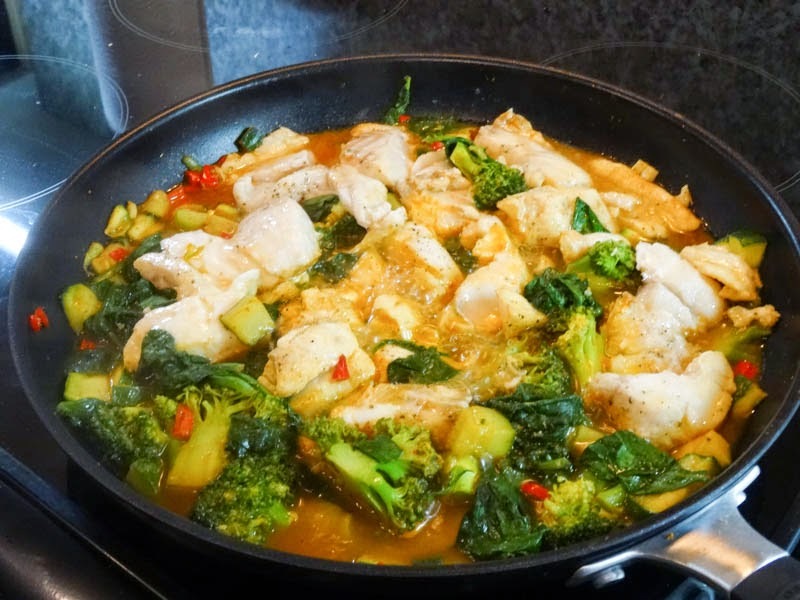 Thanks Nanya, it had a really nice mix of ingredients and seasoning and the pan is solid! Yes, right up your street Jac! Definitely one to make again. I have been sold on cauliflower rice for about a year now. So healthy, delicious and versatile. Glad to be of service Dom, I'm sure you will both enjoy it.